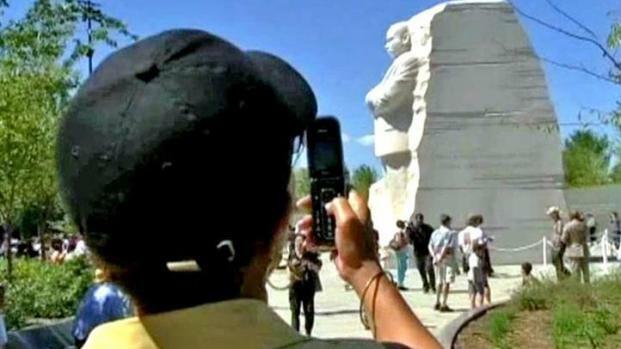 A group of North Texans canceled its bus trip to Memphis, Tenn., and Washington D.C., for the dedication of Martin Luther King Jr.'s national memorial because of Hurricane Irene. Forty-six people planned to ride the Texas Freedom Bus from Fort Worth to the nation's capitol for Sunday's dedication of the memorial. The event was postponed because of the threat of rain and strong winds from Irene. The storm is causing problems along the Eastern seaboard and delaying or canceling travel for people across the country. Some of the people who planned to travel on the bus ride were still in southeast Fort Worth on Friday afternoon instead of Memphis, where King was assassinated, as planned. One group of North Texans who had planned on attending the dedication ceremony of the Martin Luther King Junior Memorial can't go because of Hurricane Irene. "It was about 12 o'clock [Thursday)] night that I got the news it was postponed and I couldn't sleep," said Franchell Allen, one of those set to attend the ceremony. Some of the group are from the Southern Christian Leadership Council of Tarrant County. Others were coming from Tyler and Palestine. "On the 48th anniversary of Dr. King's 'I Have a Dream' speech, we can really say in many senses that his dream has come to pass in terms of brothers and sisters of different hues, backgrounds and colors, races and cultures coming together," said the Rev. Kyev Tatum of Fort Worth. Tatum said we still have a long way to go, but the memorial is a big part of reminding people of the past to advance the future. The King Memorial is now open to the public, and the dedication will be held in either September or October. The North Texans planning to attend the August ceremony said they were a little disappointed but appreciated that organizers were concerned for their safety. They will have another chance to see it for themselves, they said. "It would have been good to have been there, but we also have in our hearts knowing that it is there," said Brenda Thompkins, who helped organize the trip. "We might not be able to go at this time, but we do know we have the opportunity to go at anytime to see the memorial." The group said it plans on attending the dedication whenever it is rescheduled.